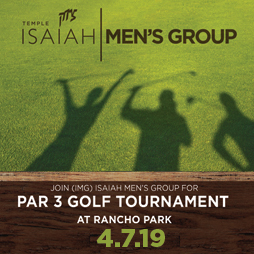 Isaiah Men’s Group (IMG) provides opportunities for male congregants to get more involved with the Temple and connect with other Isaiah members. Through engaging social events, unique learning opportunities, and community service, IMG provides the setting to expand one's circle of friends, contribute to our congregation, and get involved in Jewish affairs. IMG’s activities include a wide variety of options such as beach days, sports, steak and scotch nights and Jewish holiday celebrations. We look forward to welcoming all Isaiah men at IMG events. For more information email IMG@TempleIsaiah.com.